The United States Immigration and Customs Enforcement (ICE) was created by the Homeland Security Act of 2002, a direct response to September 11, 2011 (commonly known as 9/11) events. The former United States Custom Service and the Immigration and Naturalization Services are either completely or partially incorporated under the new agency. It is an agency of the Department of Homeland Security and managed by a director appointed by the President and confirmed by the U.S. Senate; and reports to the Secretary of the Department of Homeland Security. It is entrusted to enforce over 400 statutes related to the security and safety of the nation’s borders, trade, transportation and infrastructure. There are over 19,000 employees and over 400 ICE offices in U.S. and around the world. 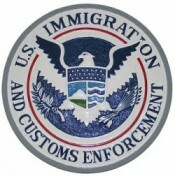 The Agency include Homeland Security Investigations (HSI) which investigate and combat national security; Enforcement and Removal Operations (ERO) which is responsible for enforcing nation’s immigration law; Office of State, Local and Tribal Coordination (OSLTC) which is the outreach for local and state governments; Office of the Principal Legal Advisor (OPLA) which provide legal advice to the agency; and the Office of Professional Responsibility which investigate allegations of misconduct by the employees.